Being the last speaker at an event can be daunting for speakers. But there are actually some big opportunities. Make being the last speaker work for you! Some call it the ‘graveyard shift’. If you are the last speaker at the conference. It’s not a strange remark. After all. 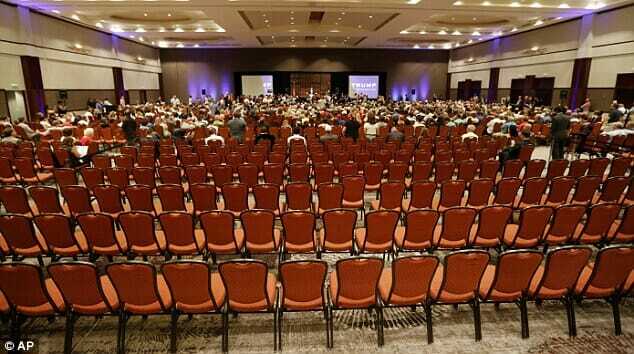 If you are the last one at the conferences, chances are the room is half empty. A part of the attendees will have gone home. Another part will be in the pub or trying to get early drinks at the networking. Those that are there are also after a long day listening to speeches. It’s something many conference organisers struggle with. Who to put last. What to do with the networking. You want people to stick around and you want people to attend the networking as well. So actually the last session is important. It’s why some organisers have decided to end the day with a big keynote. To keep people there. What if you are the last speaker? So what if you are the last speaker? Is that a lost cause? Are you better off letting them get to the drinks? Being the last speaker actually, gives you big opportunities. Yes, some of the audience may have already left. But those that are still there are the ones interested. They WANT to hear you speak. The group might be smaller than earlier, you might be able to get much more out of them! Since you are the last one, this is your chance to leave them with a big impression. Your message is what they walk away with. Your message is the first thing they will remember the next day at the office. To do this, though, you have to do the right things. It’s very easy to lose that audience and instead of making a good last impression. If you fail, they will never pay attention to you ever again. But if you succeed, you are the big winner. One thing you need to remember when you are the closing speaker: you are not only delivering a talk. You are closing the conference. The way you send them away determines for a big part how they feel about the conference. Let’s look at a few things you should and should not do when you are the last speaker. There are some things you should stay away from when you are up last. For the simple reason that if you talk about these things, you will lose the attention. Sometimes even before you start. You want to avoid talking about the fact that people have left. Even though you mean well. The wrong emphasis on how they stuck around will make them feel less important rather than more. It hurts both you as the audience. You are showing how insecure you are. At the same time, you can make the audience feel like they are the ‘losers’ that stayed. You are telling them it’s ok to leave and perhaps even give them the idea to go. I’ve seen it happen more than once. Whenever speakers said this, a few more people got up and left. “All that stands between you and drinks is me” Or a variation of the sentence. “You’ll get your coffee after you’ve listened to me”. I can’t count the number of times I heard a speaker say this. I know I’ve said it. I now know I shouldn’t have. You are telling them it’s you that makes they can’t have coffee or drinks now. That makes you a ‘hurdle’. They now feel they have to wait. Instead of getting excited, they will feel they have to work. Of course, you never want to be boring. But in the case of speaking last, it’s extra important to keep their attention. And you need to grab it within the first seven minutes of the talk. In this time frame, people subconsciously decide if they like you and the talk or not. Being boring in that time frame will kill your talk. We know it’s easy to screw up. But how to make it work for you? You need to stand out! Here are a few things you could consider and work on. Since you know the first seven minutes are crucial, this is where you want to make the biggest impact. So instead of talking about who you are and about your business, why not start with a bang? What he does here is controversial and smart. It’s not only surprising, it serves a goal as well. He’s making a point with it. But you don’t have to be that controversial if you don’t want to. You could start with a personal story (storytelling captivates). Or you could start with a video. There are many ways to get that attention and wake them up. You don’t want to be boring, so you have to make sure you are short and crisp. People are tired, so they absorb less. That means your presentation has to be to the point. And make it short(er) than you otherwise would. You want to send them away before they get tired of you. If you are the last speaker, you have the chance to give them something to talk about during the break or drinks. An opening like the above-mentioned one would be something they would talk about. But a great tear-jerking video also can do the trick. Key is to find one thing that is “different”. One thing they will remember. Best would be to have a small exercise or game they can play during the break. Make sure you tell them to do it afterwards and share with you how it went. They will have another reason to talk to you. Then after the session, go and watch people try this. It will be fun! A nice way of bonding with your audience is to give them something. Give away something that is for attendees only. Tell them not to give it away to anyone else. This could be a free subscription for example. Or a code to get a free coffee at Starbucks. You giving them something will make them first like you, second feel they ‘owe’ you. And, they will feel part of a special group. Which bonds them. Again, this will make that they will remember you best. Finally, one that fits perfect in a last talk of the day. If you are the closing speaker, don’t give it all away. Have one story ready you can tell after the session, during drinks. Tell people you have one more story, but you are out of time. You want them to get to the drinks. Let them know that if they want to hear the story, they should come up to you during drinks. If they like you and have enjoyed your presentation, they will come up to you afterwards. You will then have another ‘connection’ with them. They will remember you for not only your talk but for the conversation afterwards as well. All these things come together in one thing: bonding. Try to bond with your audience. That way, after your talk, you will be the one they think about and talk to!